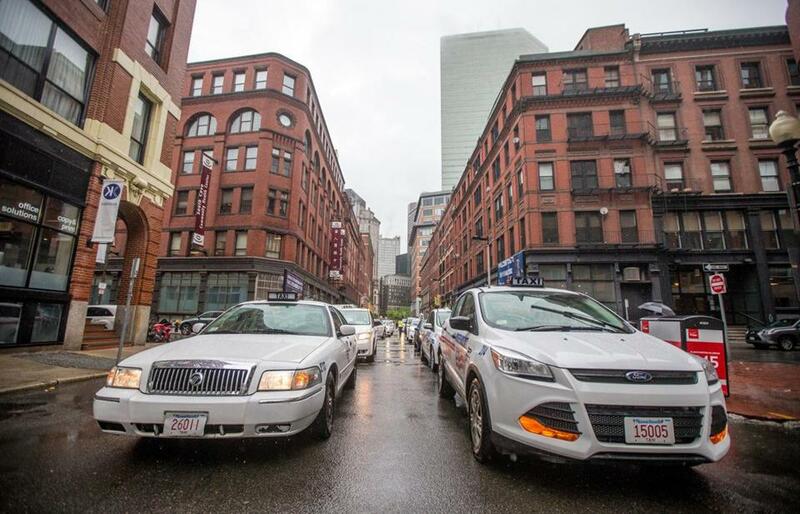 Hundreds of cabs honked their horns in protest on South Street in Boston in front of the Uber headquarters in May. Uber has plenty of enemies. The Web-based taxi service opened for business just five years ago, but recently its reputation has instilled enough fear in competitors to tie up traffic not just in Boston but in London, Paris, and a dozen other European cities. The protests staged were intended as a defiant stand by cabbies against the “unregulated” car service. Instead, they were an advertisement of a different sort: for outdated business models, archaic regulatory structures, and entrenched business interests that are desperately fighting to protect the status quo. It’s difficult to exaggerate how little the taxi industry has changed during the past 75 years. In the late 1930s, there were nearly 14,000 “medallions” issued to New York City cabs. By 2012, the number had actually dropped to 13,237. In most big American and European cities today, taxi services look more like a bureaucratic conspiracy than the product of a competitive marketplace. In London, regulators consider use of a taxi meter to be a privilege and have erected exorbitant barriers to protect that status. Most notoriously, attaining “The Knowledge” required for a taxi license involves memorizing hundreds of routes, business locations, and places of interest throughout the city. Charming, but expensive — and quite unnecessary in the age of smartphones. This glacial pace of change is a product — not a failure — of regulation. Medallions and similar quotas create an artificial scarcity that insulates the market from competition. That lack of competition, in turn, undermines any incentive for innovation or investment in new technology. Most Washington, D.C., cabs didn’t accept credit cards until this year. The cab companies prefer it that way. They own the medallions, earn a premium for their use, and put precious little back into the business. Into that vacuum stepped Uber, which operates more like an information broker than a transportation company. They own no vehicles or medallions, but vet local operators, manage the application connecting drivers with users, and provide a rating system for both. Entrenched and protected by law, traditional operators were slow to respond. To their dismay, they soon realized that efficiency, ease of use, and customer satisfaction were powerful competitive forces. Having been coddled by layers of bureaucracy for years, the industry did the only thing that came naturally: They begged their bureaucratic masters to cripple Uber. In France, the proposed remedy was simple: a mandated delay of 15 minutes between ordering a ride from Uber and the passenger pick-up. This, it was argued, would “level the playing field” with traditional taxis. The rule was overturned by a French court in February, but it exemplifies the mind-set shaping this fight. It’s the technological equivalent of limiting the speed of automobiles to match a horse-drawn carriage, or demanding that transistors be equal in size to the vacuum tubes they replace. Instead, Uber’s success and popularity should inspire legislators to take a hard look at the wasteful mass of ancient taxi regulations already on the books. Ostensibly, they were intended to protect consumers. But now they block access to faster, more reliable service. Some geeks in Silicon Valley have designed a far more efficient system. Those medallions, licenses, and meters are obsolete. Admit it, and act accordingly. This is not an isolated case; it’s more like the tip of the iceberg. Today, America’s mail delivery system operates on essentially the same footprint used in the 1950s. Our broadcast TV and radio rules were written in the ’30s and ’40s. There’s even a movement afoot to apply 80-year-old telephone regulations to the Internet. We may find comfort in the familiarity of these industries today, but the cost of stifling innovation with outdated regulation is measured in billions. No politician wants to tell people their business model is obsolete. Then again, they wouldn’t have to if government regulations weren’t standing in the way of vigorous competition. We live in the 21st century. It’s time to govern that way. John E. Sununu, a former Republican senator from New Hampshire, writes regularly for the Globe. He is on the board of Time Warner Cable.